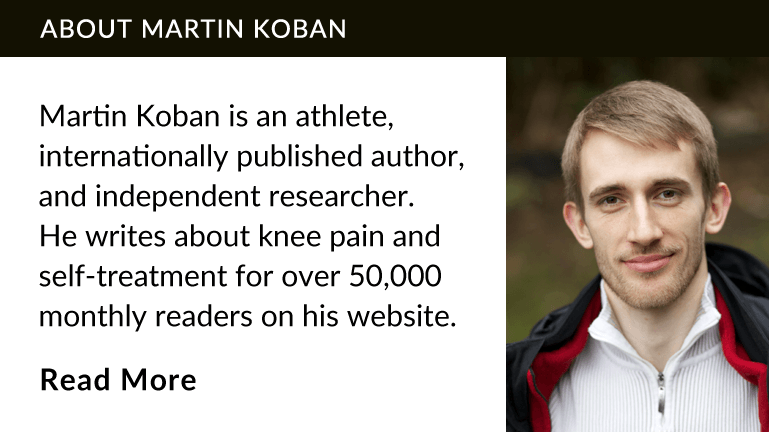 Some people recover from patellar tendonitis within a few weeks, others deal with it for years. How can recovery time be so different? In this video, you will learn how to avoid three very dangerous mistakes that will add months to your recovery time, if you make them and how much recovery time you should expect. The three dangerous mistakes I’ll show in a moment are mistakes that you may consider harmless. I sure did, back when I had patellar tendonitis. But academic research and anecdotal evidence from thousands of people confirm that if you make these three mistakes when recovering from patellar tendonitis, you’ll either add months to your recovery time or you’ll prevent recovery altogether. In patellar tendonitis, your body tries to strengthen your patellar tendon by putting more collagen fibers down inside of it. These fibers are like the threads of a steel cable and the more of these fibers there are the more force the tendon can handle. 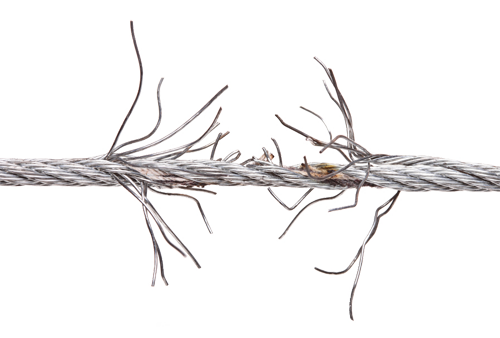 The collagen fibers inside your patellar tendon are like the threads of cable. For this to work, you have to allow your body to do its job, by giving it appropriate rest periods. If you don’t rest enough, your tendonitis will progress into a more advanced stage in which the fibers of the tendon have become messy. Recovery from patellar tendonitis will take longer the more the collagen alignment degenerates. 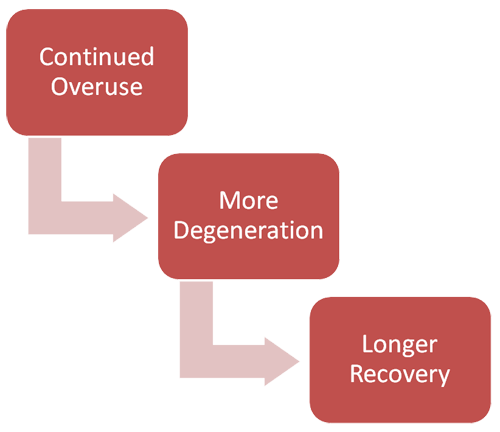 The more the alignment of collagen fibers degenerates, the longer it will take you to recover from patellar tendonitis. This is why every week you continue your regular training in spite of patellar tendonitis is at least a week added to your recovery time because you’re causing more damage that you’ll eventually have to repair. The more you overuse your patellar tendon, the longer your recovery time will be. The second mistake seems safe, especially since doctors recommend it all the time, but it will actually make your tendon weak and fragile. Everyone with chronic patellar tendonitis knows that resting doesn’t get you back to 100%. To strengthen your tendon and recover from patellar tendonitis, you need to apply just the right amount of training at just the right intervals. Resting will not get you back to 100%. In my book Beating Patellar Tendonitis, I recommend people use a training journal to track their pain levels. Once you’re tracking your pain scores you can start doing tendon-strengthening exercises such as very slow eccentric squats or isometric wall-sits two or three times per week. For your patellar tendon to get stronger you have to do just the right amount of training at the right time. 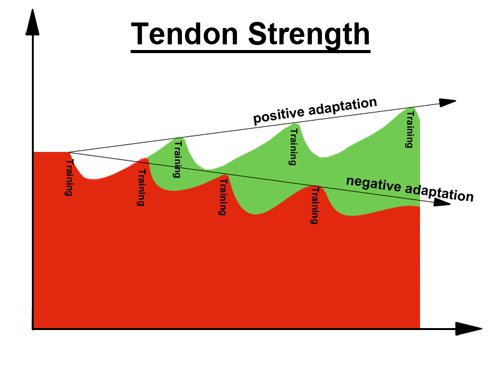 Next, you use your pain scores to adjust your training so that pain goes down over time. This ensures progress and I highly recommend you do it too. Without this systematic approach, you can only guess which training intensity is safe for your patellar tendon and as soon as you do too much, you’ll reinjure your tendon, which will cost you additional weeks of recovery time. If you make this last mistake, you will flush all your progress down the toilet. Let me explain. Let’s say you’ve safely strengthened your tendon over the last 8 weeks and your pain has gone down significantly. You were smart enough to stop your regular training when you started rehabbing your patellar tendonitis and you’ve been tracking your progress with a journal. For the last 8 weeks, you couldn’t do the things you love because of pain, but now the pain has gone down. That’s where patellar tendonitis will trick most people into making the third mistake. Once the pain has gone down, most people jump back into their training and pick things up right where they left them when they started rehab. Same mileage, same number of hours on the court, same amount of weight lifted in the gym, and so on. And I get it, I’m an athlete too, but here’s the problem. In tendonitis, tissue damage occurs before pain is felt. In other words, just because your pain has gone down doesn’t mean that your tendon is completely healthy again. You need to ease back into your training slowly and pay attention to every little bit of discomfort in your knee. This way you can prevent mistakes that will flush all your progress down the toilet. With tendonitis, it’s better to be safe than sorry. Before we get to how much recovery time you should expect, let’s recap. Don’t continue your regular training while rehabbing patellar tendonitis, regardless of how tempting it may be. It won’t work. Get a training journal and track your pain scores every day. Next, start doing tendon-strengthening exercises like slow eccentric squats or isometric wall sits. Once your pain has gone down significantly, ease back into your regular training very slowly. Use your pain scores to avoid anything that increases your pain. Now, as for how much recovery time you should expect, academic research found that if you follow a safe strengthening regimen you will notice a reduction in pain after 3 to 4 weeks (Rutland et al. 2010), but repairing the tendon completely will take at least 3 months (Khan et al. 1998, p. 348; Wilson, Best 2005). 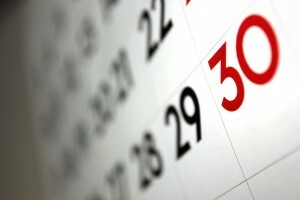 Now you can see why it’s so important to avoid mistakes that add additional months to your recovery time. What I’d like you to do next is leave a comment below this video and tell me how long you’ve been struggling with this injury; and if you discovered any other mistakes that also slow down healing, share them with me and the other readers so that we can benefit from your experience. 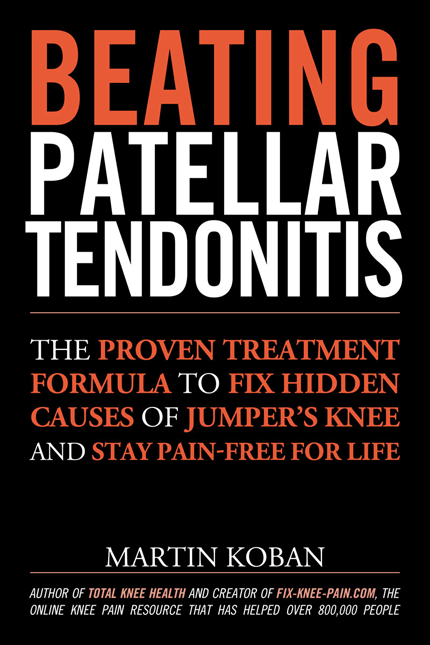 Also, if you’re new here, I recommend you join my free email course on patellar tendonitis. It will show you great healing exercises to get you back to your sport as soon as possible. You can sign up right below this video or by going to fix-knee-pain.com/tendonitis. Lastly, if you know someone with patellar tendonitis or have friends in jumping sports such as basketball or volleyball, give them a head start on this injury by sharing the link to this video. Kettunen, Jyrki A.; Kvist, Martti; Alanen, Erkki; Kujala, Urho M. (2002): Long-term prognosis for jumper’s knee in male athletes. A prospective follow-up study. In Am J Sports Med 30 (5), pp. 689–692. Rutland, Marsha; O’Connell, Dennis; Brismée, Jean-Michel; Sizer, Phil; Apte, Gail; O’Connell, Janelle (2010): Evidence-supported rehabilitation of patellar tendinopathy. In N Am J Sports Phys Ther 5 (3), pp. 166–178. Visnes, Håvard; Bahr, Roald (2007): The evolution of eccentric training as treatment for patellar tendinopathy (jumper’s knee): a critical review of exercise programmes. In Br J Sports Med 41 (4), pp. 217–223. DOI: 10.1136/bjsm.2006.032417. Visnes, Håvard; Hoksrud, Aasne; Cook, Jill; Bahr, Roald (2005): No effect of eccentric training on jumper’s knee in volleyball players during the competitive season: a randomized clinical trial. In Clin J Sport Med 15 (4), pp. 227–234. Wilson, John J.; Best, Thomas M. (2005): Common overuse tendon problems: A review and recommendations for treatment. In Am Fam Physician 72 (5), pp. 811–818. Yamamoto, E.; Hayashi, K.; Yamamoto, N. (1999): Mechanical properties of collagen fascicles from stress-shielded patellar tendons in the rabbit. In Clin Biomech (Bristol, Avon) 14 (6), pp. 418–425.